"Omahawks" had a succesful 2012-2013 season, advancing to the NCAA Regionals. 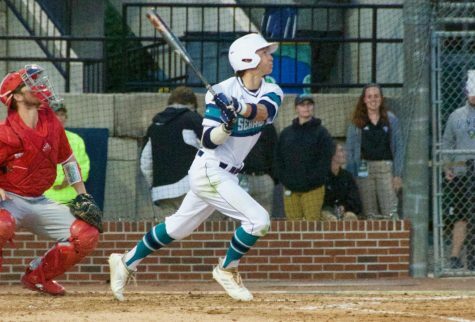 As students return to UNC Wilmington’s campus for the start of a new school year, the Seahawk athletic teams begin gearing up for their respective new seasons. 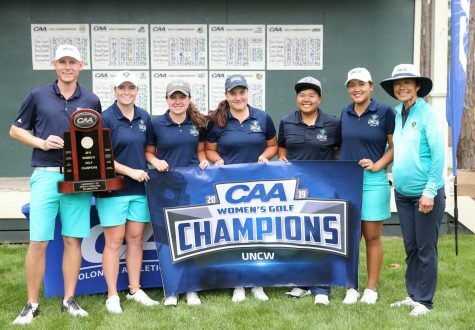 In mid-May, almost immediately after school let out, the Intercollegiate Athletics Review Committee, appointed by UNCW Chancellor Gary Miller to help improve the overall spectrum of the school’s sports, proposed that the men’s and women’s swimming and diving, men’s indoor track, men’s cross country, and softball programs all be immediately cut from the school’s athletic budget. A firestorm of public awareness ensued, highlighted by the men’s and women’s swimming and diving teams. The teams used social media, an online petition and custom clothing as ways to promote awareness of the issue at hand. The student-athletes’ fight for their respective programs paid off when, in late May, Chancellor Miller announced that no programs would be cut for the upcoming academic year. 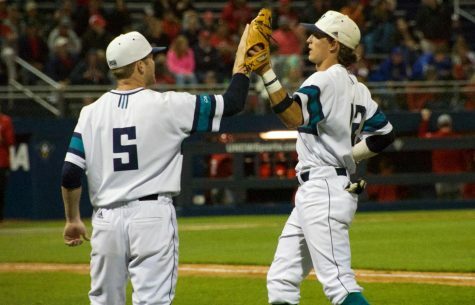 The UNCW baseball team, annually one of the school’s more successful teams, captured the CAA regular-season championship before falling in the NCAA Charlottesville Regional to Elon University 4-6. As a means to help the Seahawks advance further into postseason play next year, Head Coach Mark Scalf hired Matt Williams as the team’s pitching coach. Williams formerly served as the pitching coach at Spartanburg Methodist in Spartanburg, South Carolina. Williams helped lead the Pioneers to the top junior college national ranking in 2013 and a berth in the NJCAA World Series, the team’s fourth during Williams’ time there. The Seahawks’ men’s tennis team made huge strides this past season, advancing to the postseason for the fourth time in the last five years. The team won its third conference championship while earning its first-ever NCAA Tournament victory of 4-0 over the University of South Carolina. Additionally, after being ranked during 14 out of a possible 16 weeks by the Intercollegiate Tennis Association, the team ended its season ranked No. 43 after peaking at No. 37 in mid-February. The men’s basketball team received a big boost when long-time UNC Asheville head coach Eddie Biedenbach agreed to join the Seahawks as an assistant coach. 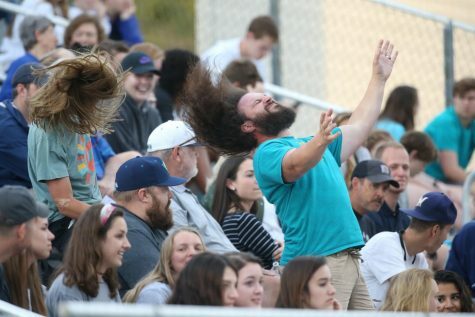 Biedenbach, the winningest coach in UNCA and Big South Conference history, with a 256-258 record in 17 years, will look to bring that successful identity to the Seahawks. The team will need it after two-time First-Team All-CAA player Keith Rendleman graduated this past spring. 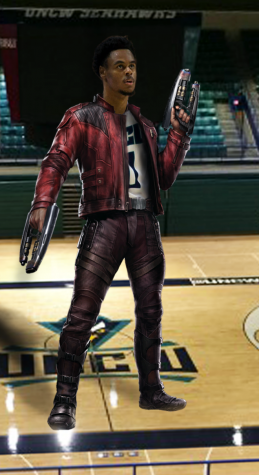 After earning tryouts with the Charlotte Bobcats, Brooklyn Nets, and Atlanta Hawks, among others, Rendleman was not chosen in the NBA Draft. However, the forward’s collegiate achievements did not go unnoticed as he was selected by Dongbu in the 2nd round of the Korean Basketball League. Leaving UNCW as one of the school’s most decorated men’s basketball players, Rendleman will look to provide his new teammates with that same intensity he came to be known for throughout the CAA.